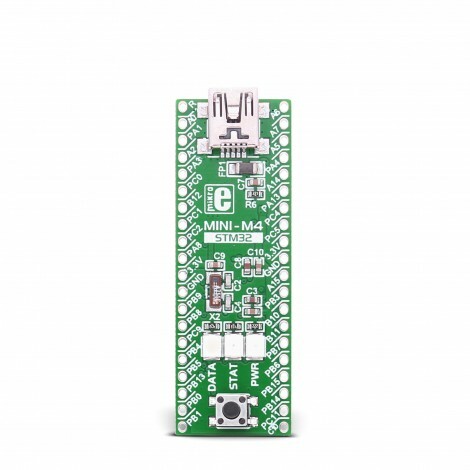 MINI-M4 for STM32 is a small ARM® Cortex™-M4 development board containing STM32F415RG microcontroller. 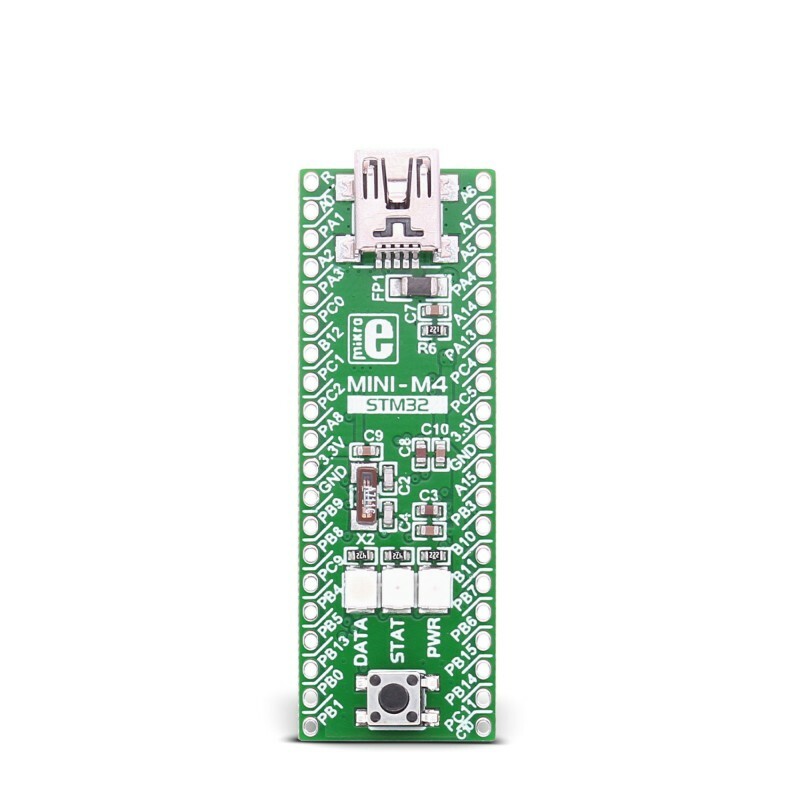 It is pin compatible with PIC16F887 and PIC18(L)F45K20 microcontrontrollers and it perfectly fits into standard DIP40 socket. Board is equipped with 16MHz SMD crystal oscillator, and 32.768KHz crystal which can be used for internal RTCC module. It has reset button and three signal LEDs.